Well demanded Ground floor unit! • 1,576 sq. ft., 2 bath, 2 bdrm single story - MLS $229,000 - Great price! Lovely Las Palmas 2 bedrooms 2 bath condo on Sandy Beach is fully furnished and turnkey ready to move in! Large and spacious rooms will please family and friends. Great kitchen with granite counter, dinning area, bathrooms walled with traveltine and the whole condo is very well decorated! 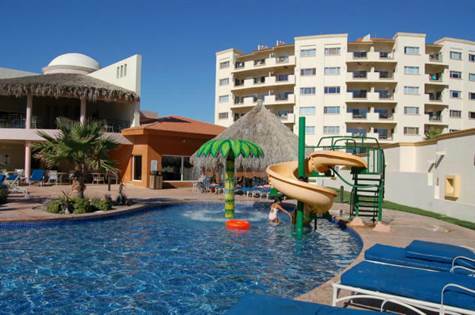 Bonita ground floor is easy access to the pools, Spa, common area with heated pool, BBQ, Jacuzzi and even two water slides for the kids. Fitness facility, Spa massage, Shop, Sauna, Games room and a Restaurant onsite! Could also be a great rental income. Don't miss this opportunity!. Las Palmas, Sandy Beach - Announcing a price reduction on Las Palmas Bonita 203b, a 785 sq. ft., 1 bath, 1 bdrm single story. Now MLS $107,900 - BEST PRICE IN RESORT!. None, Las Conchas - Excellent Development Opportunity! This 12.5 acre parcel is the largest fully accessible beachfront parcel available in Las Conchas. Ready for development with all city utilities available. Suitable for custom home subdivision or up to 100 low density units. Subdivided this could become several large beachfront lots and with the tiered incline even the back lots can have excellent ocean views. Could become a semi-custom fully developed subdivision with community amenities that do not exist in other areas of Las Conchas like swimming pool, BBQ palapas and exercise facility. Provide and they will come and pay top dollar. Whether you develop lots for sale or build your own subdivision the market indicators are moving in the right direction with reducing inventories and rising prices. Rocky Point is growing up with its new International Airport and the new Homeport Cruise port that’s well underway. All eyes are on Rocky Point said to become the next Cabo and the volume of interest is showing this to be true. Under $78 m2 leaves a lot of room for future profits. 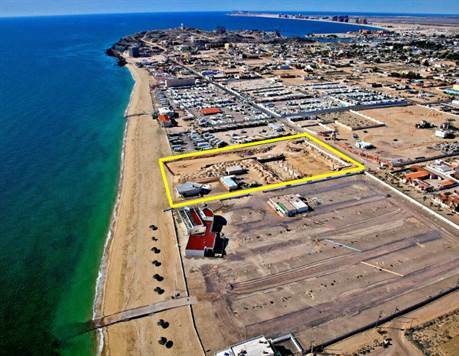 mirador, Puerto Peñasco - Prime development opportunity right on the popular Mirador Beach. 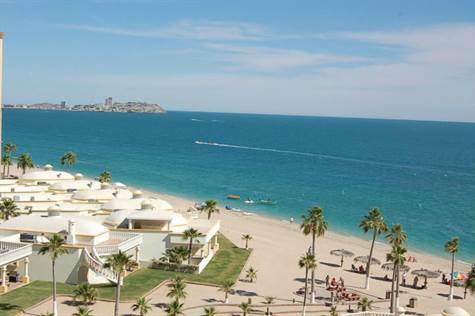 Over 13 thousand sq meters almost 90 meters beachfront. Suitable for Condos or hotel this land is perfectly positioned in a prime area of interest. This is in a fully developed area of the city with existing road and utilities access. With the new international airport now open and the Cruise port slated to complete in 2016, all signs are lining up for the next great opportunity in Rocky Point. Bella Sirena, Sandy Beach - Beautiful Mediterranean style, this luxury resort on Sandy Beach will take your breath away. Spacious 2 bed/2 bath ocean view condo will please all your needs.Gorgeous open floor plan, Granite counters in large kitchen with rich cabinetry. Arched alder doors, tile floor and a brick dome Boveda ceilings. Large deck with access from bedrooms and living room will give you the amazing views of the resort and the sea of Cortez. All beautifully furnish and ready to move-in. Call me for a showing! Costa Diamante, Sandy Beach - Exquisitely designed Custom home with attention to the finest details that you cannot help but to say wow. 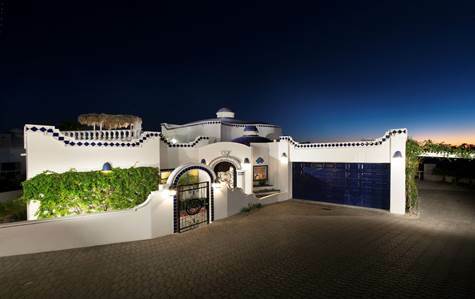 This stellar Costa Diamante home of 3,400 sq. ft. 4 bedrooms, 4 baths meticulously maintained that will excite your senses. From the beautiful brick Boveda ceilings to the marble floors every detail has been specifically chosen to make this a one of a kind. 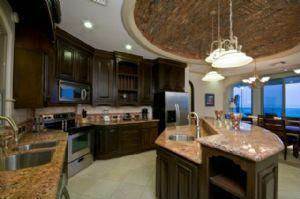 Circular designed Kitchen is functional and unique with towering Boveda ceiling, half-moon cobalt blue quartz breakfast bar, stainless steel appliances and lighted glass cabinets. Formal dining with buffet table seating for 10, mosaic wall fountain and dome ceiling. Large social living room with spiral staircase to loft and bar area that all flows to outside patio. Covered patio attaches to larger patio area with fire pit and palapa area. Built-in Stainless Steel BBQ. Master bedroom with gas burning fireplace, canopy bed by Mercedes Rustico, double door exit to patio, large ensuite bathroom with double sinks and hibiscus stained glass window above large tub. Community Pool, spa and sports court. 24 hour guard gated community. This property is offered as you see it, turn-key, fully furnished and ready for your immediate enjoyment. Showings by appointment only. Las Palmas, Sandy Beach - Announcing a price reduction on Las Palmas Bonita 203b, a 785 sq. ft., 1 bath, 1 bdrm single story. Now MLS $112,900 - Best Price in Resort. 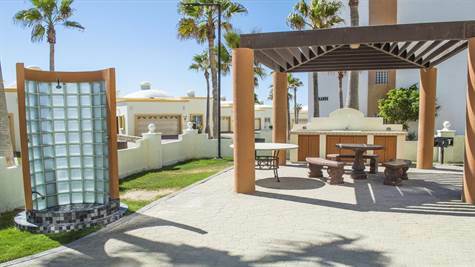 Las Gaviotas 431 in Las Gaviotas is Sold! Las Gaviotas, Sandy Beach - The single story at Las Gaviotas 431 has been sold. Bella Sirena E205 in Bella Sirena is Sold! 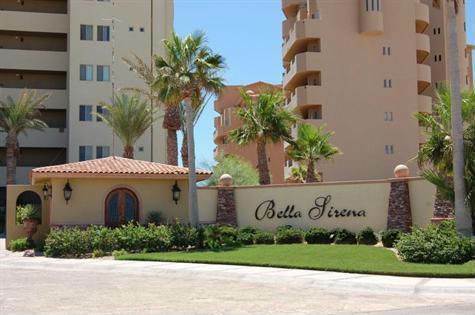 Bella Sirena, Sandy Beach - The single story at Bella Sirena E205 has been sold. Playa Miramar, East Beach - Announcing a price reduction on Playa Miramar Block 10, Lot 4,, a single story. Now MLS $175,000 - JUST REDUCED!. Esmeralda, Sandy Beach - Spectacular panoramic view this large 3 bedroom 3 bathroom condo has Stone crown molding in all rooms with ceiling pocket lighting. Luxurious Travertine and Granite from floor to ceiling. Walk through the custom alder wood arched doorways into your Huge Master Suite with Domed brick ceiling and a private exit to patio for those romantic evenings. Pass under the stoned archway into the living room where you will have a Breathtaking views of the sea. Gated 24 hour security. **12 Mo. $1,500, 6 Mo. $1,600, 3 Mo. $1,800 and $120 cleaning fee. First, last and deposit required. • 1,230 sq. ft., 2 bath, 2 bdrm single story - MLS $1,150.00 Monthly - Great Price! • 868 sq. ft., 1 bath, 1 bdrm single story - MLS $900.00 Monthly - Great Price! 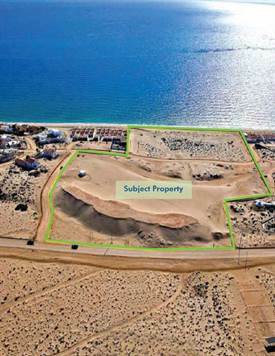 Las Palmas, Sandy Beach - Announcing a price reduction on Las Palmas Baja 105, a 1,230 sq. ft., 2 bath, 2 bdrm single story. Now MLS $216,500 - Great Price.